We are looking for sponsors of all sizes. To be a part of the foss-north event, we offer the following tiers. Detailed information can be found in our sponsorship prospectus. 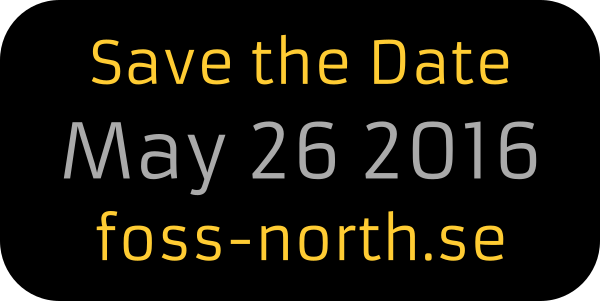 The foss-north event and foss-gbg groups are organized by the same group and share the same goals. Any surplus generated from the foss-north event will be fed into foss-gbg events and into the next foss-north events. Our aim is to build a reoccuring event!